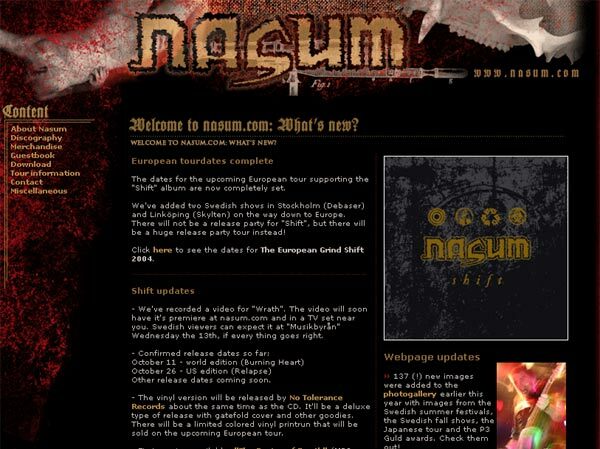 Back in early 2000 I started working on a t-shirt design for Nasum. I had a rough recycle symbol that I combined with an eye. 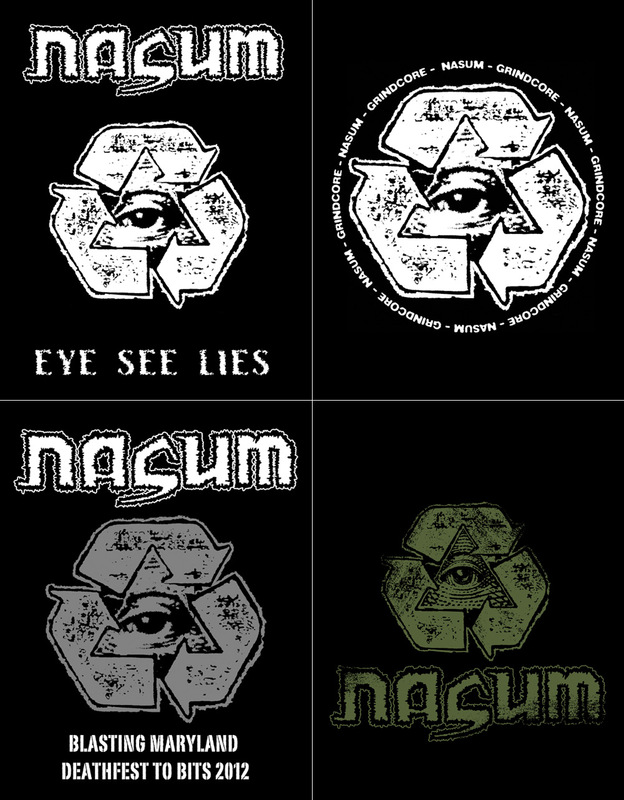 I combined that piece of graphic with the logo and a clever phrase, ”Eye see lies”, a play on words from the ”Inhale/Exhale” song ”I see lies”. 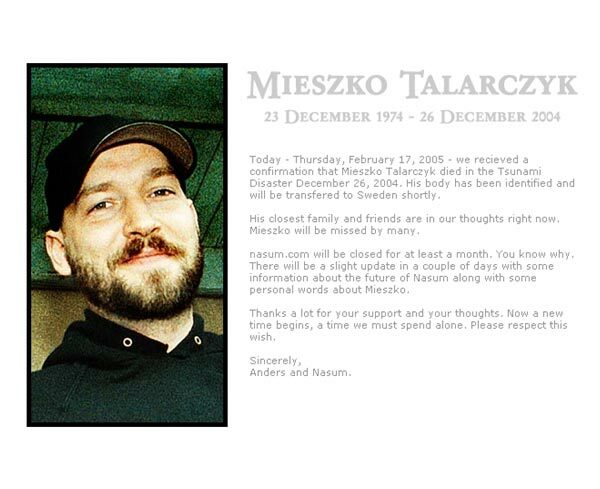 I remember that Mieszko liked it. 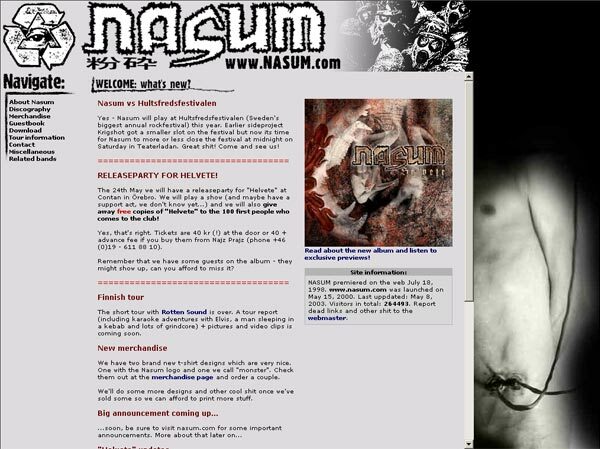 However we never printed it and did a completely different design instead with a very famous mosquito picture and the text ”The Black Swarm”. 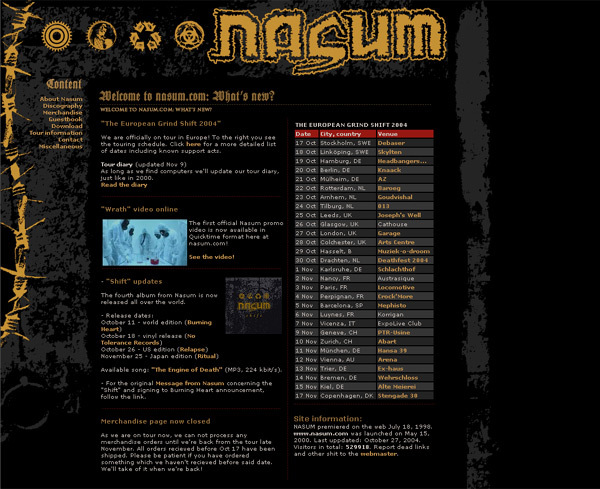 That became the second official ”printed by the band” t-shirt from Nasum, see the Merch History for this design. 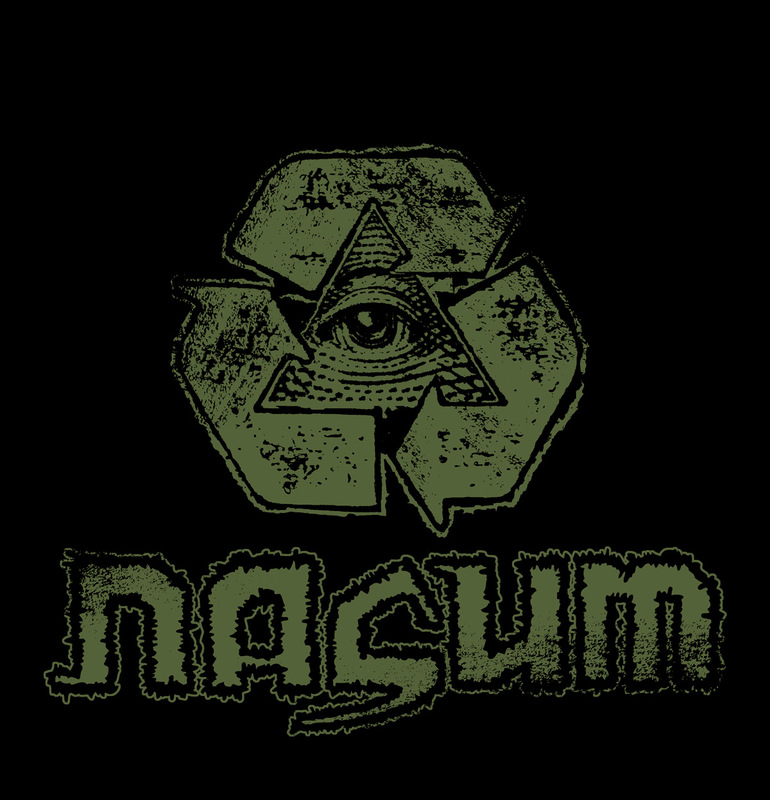 When we were about to embark on the seven week long tour with Napalm Death in the fall of 2000 we made one (1) design with the recycle graphic inside a ring with ”NASUM - GRINDCORE…” repeated. This single design was supposed to be our income/salery for the tour, as all of the other money went to recoup the tour support Relapse paid. 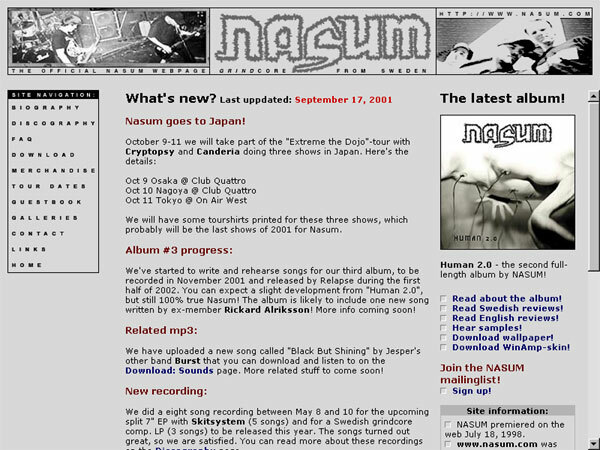 Today I would not go on such a long tour with only one design (although we had ”Inhale/Exhale” and ”Human 2.0” design, but they were Relapse’s and not ours). Years later that version of the design, minus the tour specific back print, was reprinted but with green color. I liked that combination a lot. The recycle graphic stayed in the back of my mind, and followed me with every new computer I got. 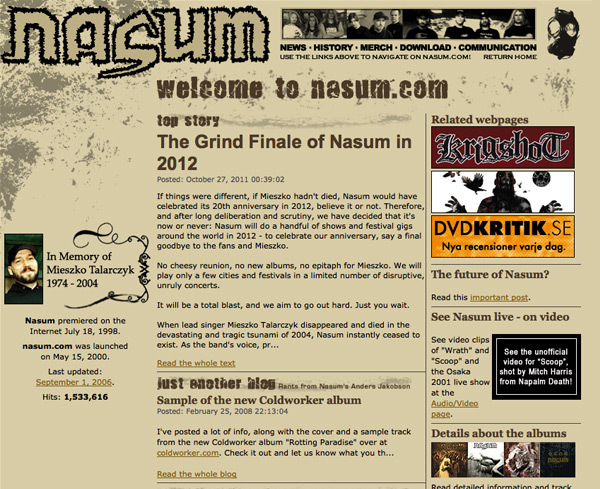 It inspired the ”Shift” graphics and it’s also featured in the footer of nasum.com. On the US leg of the Farewell Tour in 2012 we decided to quickly make a limited edition t-shirt for Maryland Deathfest and the only thing I had available in high resolution in my computer was the recycle graphic. So 50 t-shirts were made and sold in a few minutes. This design will not leave me alone. That’s quite obvious. 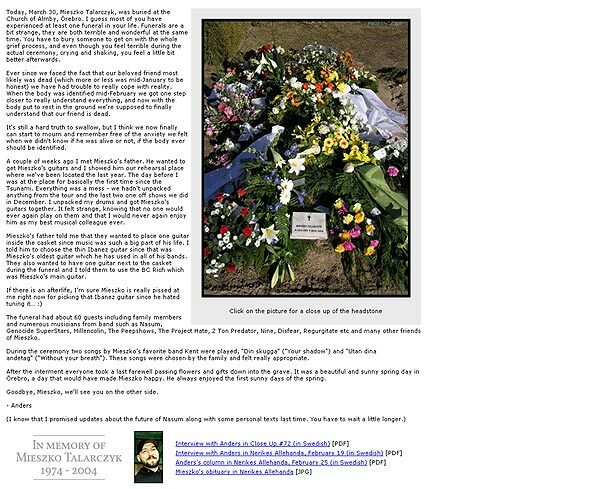 And while I was going through the archives looking for something else recently the old file was there again, wanting to be used. So I did a ”Recycle 2018” version. I added a new and better eye and polished the edges slightly. I decided to have the logo at the bottom to get a triangular feeling and finished off with some ”distress”. The new bottle green color more or less happened by incident and it looks really cool. The t-shirt is available exclusively from Selfmadegod Records. Check it out! Happy birthday, Inhale/Exhale! Let's celebrate big!